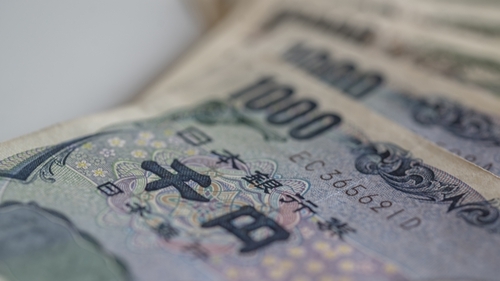 Japan and China are in talks to resume a bilateral currency swap arrangement between their central banks, sized at about 3 trillion yen (€24 billion), Kyodo news agency has reported. The resumption of the swap agreement represents a thaw in relations between the world's second- and third-largest economies, which soured in recent years due to territorial disputes and tensions over Japan's wartime history. Previously, Japan and China had a smaller currency swap in place, but this was allowed to expire in September 2013 amid a low point in Sino-Japanese relations. Japan's Kyodo said the two countries are expected to reach an agreement on the currency swap at a bilateral financial dialogue to be held in Beijing this month. Chinese Premier Li Keqiang flagged the proposed resumption of the swap agreement with Japan in May. Japan is trying to arrange a summit between Prime Minister Shinzo Abe and Chinese President Xi Jinping in October and wants to use the renewed swap agreement as a symbol of cooperation, Kyodo said, without citing sources. Officials at Japan's finance ministry, which is responsible for currency swaps, were not immediately available for comment. The People's Bank of China did not immediately respond to a faxed request for comment. In the case of financial turmoil, the swap could act as a safety net by providing yuan to Japanese banks operating in China and yen to Chinese businesses.